Welcome to the fourth edition of CEJ. 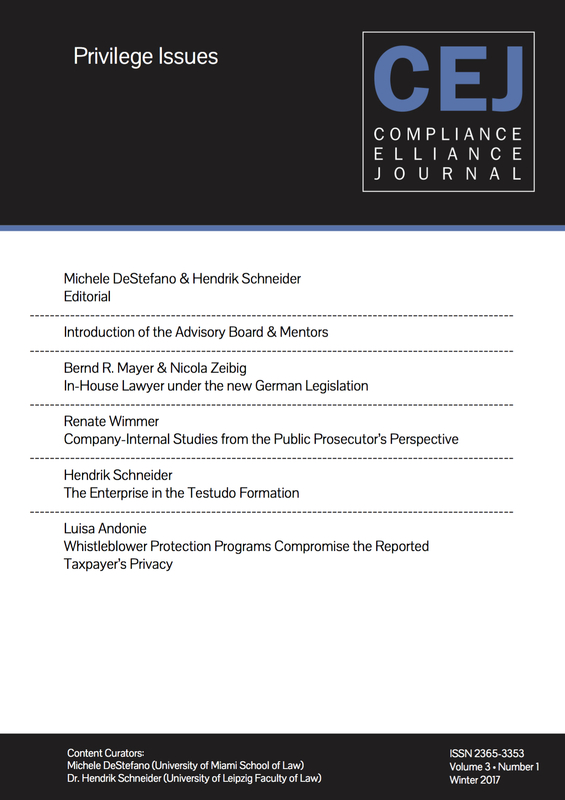 We are proud to present a variety of articles focusing on internal investigations and legal privilege based questions. With this issue we are also welcoming the members of our brand new advisory board and mentors who will support all ambitious students. Please take a look on them here.